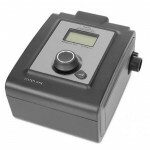 The reason why this mask is one of the Best Full Face CPAP Mask, lies in its easy applicability and the very easy cleaning. It as 3 main components,which make the mask so lightweight. What the mask features with is: Minimalistic Design-consisted of three main components, a lightweight frame that has an easy clip, and EgoForm Breathable Headgear and simple Cushion that has a Rollfit Seal. The minimalistic design is due to these 3 minimal design parts: Frame, Headgear and Cushion. The fact that this mask has minimal components provides an easy adjustment, or maintain when the mask is not in use. The “Easy-Clip”, is a single clip which is used to lock the cushion, makes a cinch to separate the mask for cleaning. The headgear for the Simplus allows different movements, and is very comfortable. It is adjusted using the Velcro tabs and can be removed easily using the headgear clips. It promotes a great stability while adapting to change, and its sections can stretch or stay in place. The Simplus headgear accommodates two sizes: Small and Medium/Large. According the name, it’s clear that the RollFit Seal rolls on the nose. It allows the cushion to shift, but maintains a seal at the same time, which results with less stress on the bridge of the nose. The design of one-click makes it easy for placement and for removal too. 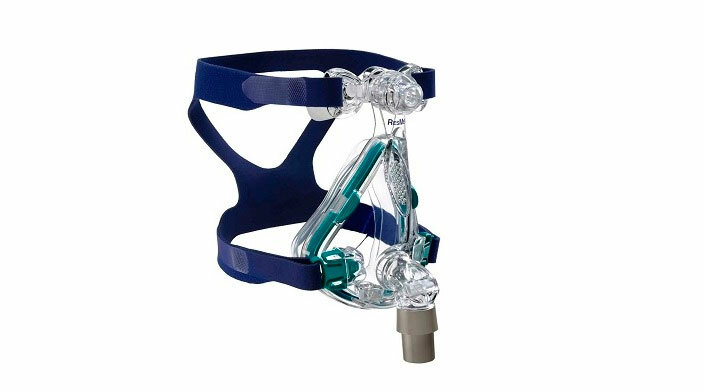 The ResMed Mirage Quattro™ Full Face CPAP Mask with Headgear is on the list of the Best Full Face CPAP Masks because of its innovative character, and the very new design that features with an advanced seal that can adjust for a better fit. The MicroFit dial allows an easy adaptation to the user, and that’s its best benefit. There are several areas of adjustment, which are used in order to provide the best fit, and he most comfortable seal position. The main components of this mask are: Dual Wall Cushion, that easily conforms to the face, and is used to maintain a seal during movement. 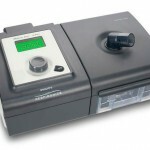 Then, the MicroFit Dial helps the CPAP users to find the right and the most common fit, and works using 24 small incremental adjustments. As the dial is turned, the dual-wall cushion moves in tandem with the forehead. Also, cushions seals well at the chin, making a better accommodation during sleep. The Mirage Quattro contains components that can be taken apart for cleaning. 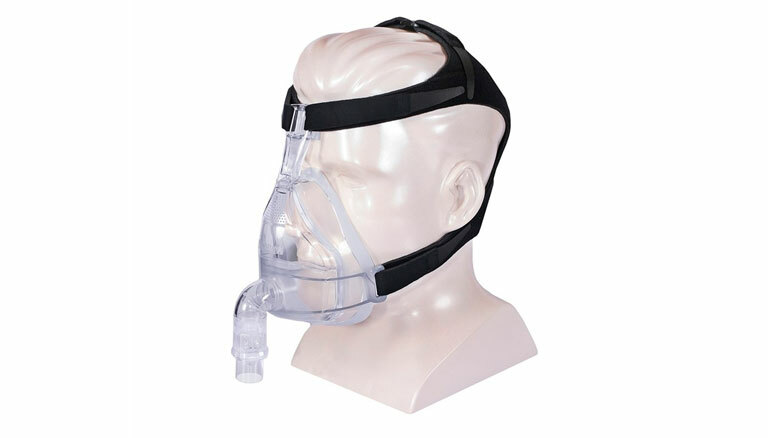 A great advantage, and the reason why CPAP users love this mask is because the Headgear clips allow the user to take the mask off without removing the headgear, which takes less adjustments. The mask is available in four sizes: extra small, small, medium and large. 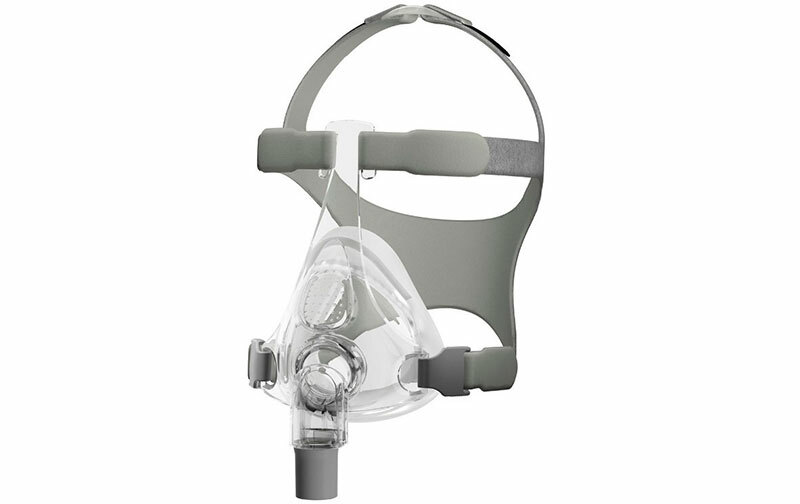 When it comes to the Best Full CPAP Masks, the Resmed F10 Full Face Mask with Headgear surely takes place on the list, because of its friendly design, which allows easy cleaning. Them mask is a full face and it seals over the nose and over the mouth too. This type of full face mask features with very lightweight materials-which allows an easy cleaning of the all four parts of the mask. The steps to clean it are: snap the cushion back onto the frame, and then attach the headgear. The mask has no forehead support. The technology of Spring Air Dual Wall Cushion helps in reducing the facial pressure, and it also increases the seal of the cushion. Here is the SoftEdge Venting too, that eases the whole procedure-it gives a great support that is necessary to maintain a reliable seal. The Elbow and the Venting are the components that provide a way to keep the direct air away from the user and the bed partner. Despite the pros, there are other issues for which the users have claimed. For example, the mask is small and it causes pressure on the face, or the mask has not well-working vents, which causes loss of air. 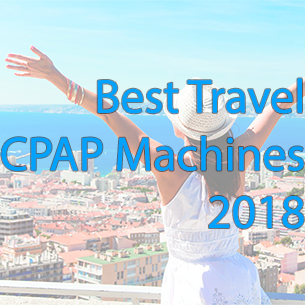 Undoubtedly, the Respironics Full Face CPAP Mask with Headgear has deserved its place among the best full face CPAP masks, because of its core components and the lightweight design it has. Also, the forehead support is great. Experiencing a sleep with a “view” Is maybe the best thing about this mask. The “view” sleeping is an offer which with the users are honored. It allows opening of the line of visibility during the sleep therapy, giving the optimal forehead support at the same time. This compact mask is created to seal around the nostrils and the mouth. Users can easily adjust the headgear till they get the most comfortable fit. This kindly designed mask offers a variety of visibilities, thanks to its great Open Vision Design. The mask is controlled by the strong seal, which is set around the nose and the mouth. Another facility is cushion under the nose. The nostrils opening is allowing the necessary pressure into the nostrils, without any irritating. The main difference between this mask and the other masks is that it does not need any forehead support in order to steady the mask. 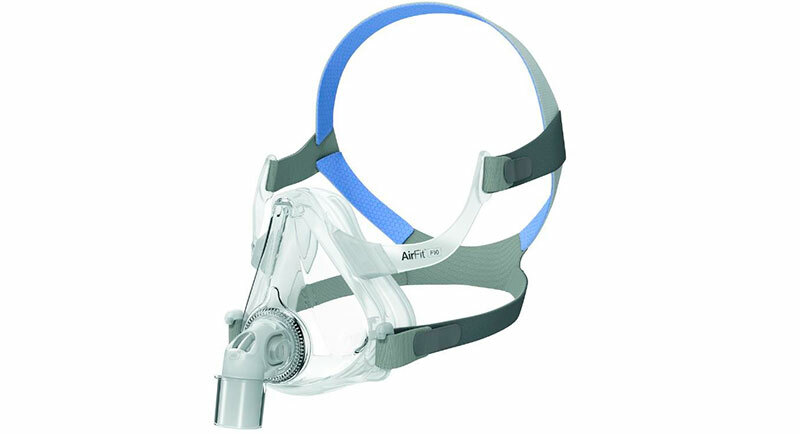 The FlexiFit HC431 Full Face CPAP Mask with Headgear, is a part of the FlexiFit family CPAP masks. 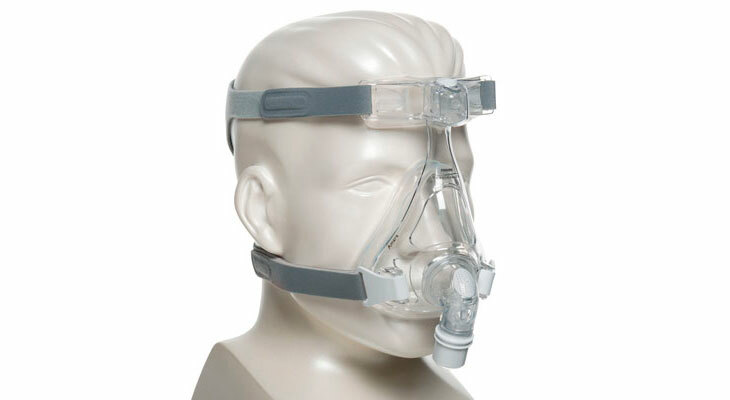 Covering the nose and the mouth, this full face mask is considered as one of the Best Full Face CPAP Masks. It features with a high-quality FlexiFit™ Technology which provides a good seal, or in other words, it allows the head to shift, while moving during sleep. The headgear has the ability to hold equal pressure all the time, no matter on which side the head moves. The unique Glider Strap gives the necessary stability while moving. The Efficient Air Diffuser has a role to vent the exhaled air. The Easy Release Headgear Strap is here to allow removing the mask in just one step. Maybe there is one issue considered as weakness of this mask- the forehead angle piece against the face is not adjustable.